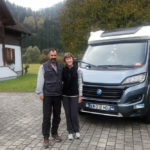 Like any vehicle, there are on-going costs involved in owning a motorhome but provided you avoid accidents and damage, the running costs can be pleasingly low and are mostly related to how far you travel in your vehicle. The only compulsory annual cost of ownership to consider is insurance. A typical annual premium for fully comprehensive insurance would be €700 to €850 (based on a vehicle with a purchase price of €30000 to €50000). 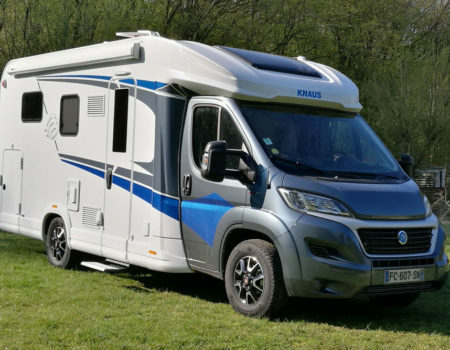 Once a motorhome reaches four years old (so four years from the date it was first registered) it is subject to a bi-annual road-worthiness test which costs €80 and can be carried out at any testing station in France. 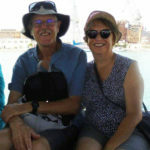 If you purchase a second hand motorhome from someone who is finishing their trip and heading home, the chances are they will be selling it fully equipped with everything you need but if not you can buy anything from bedding and towels to crockery and glassware at a French hypermarket very inexpensively. Special motorhome equipment such as levelling blocks and electricity cables can be purchased online, from us or any other motorhome dealer. Download our full checklist of the equipment you will need or might like. Modern diesel engines are very economical. Any motorhome of less than a few years old usually returns more than 8 kilometres to a litre of fuel but the latest generation diesel engines can do up to 14 kilometres per litre if driven with economy in mind. Many Autoroutes (motorways) throughout Europe charge tolls for their use and these can quickly add up to a large amount if you use this classification of road frequently. However, you don’t have to stick the Autoroutes and can take an alternative (and almost always much prettier) route which will offer substantial savings. If you use a website like Via Michelin to plan your route, it will show any road tolls in addition to the number of kilometres you will travel. Some European countries have toll roads and others are free so it is worth checking out the cost before you commit to a route when travelling big distances. For example, the toll rates in Italy usually come as a nasty surprise to most, whilst in Switzerland, every vehicle must carry a “vignette” (windscreen sticker) to show that you have paid the local (annual!) road tax, even if you are only planning to travel 1km on their roads! Modern van chassis are designed to withstand constant abuse in commercial life so will normally handle the more gentle requirements of motorhome travel without needing constant attention. 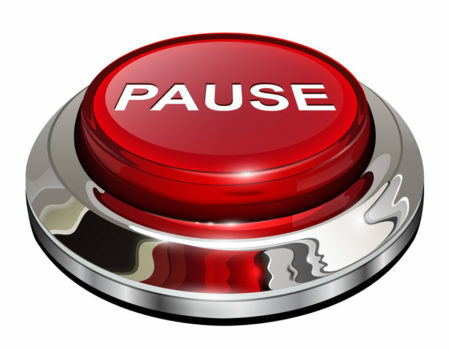 Average service intervals for motorhomes are every 25000 kilometres or annually if that level is not reached. A typical annual service will cost around €200. A major service (including replacement brakes etc.) might be up to €500 but will only be necessary every 75000 kilometres/three years or so. Expect to replace motorhome tyres every 50 – 60000 kilometres at a cost of €200 each. For winter travel to some European countries it may be advisable or even compulsory to fit special winter tyres. 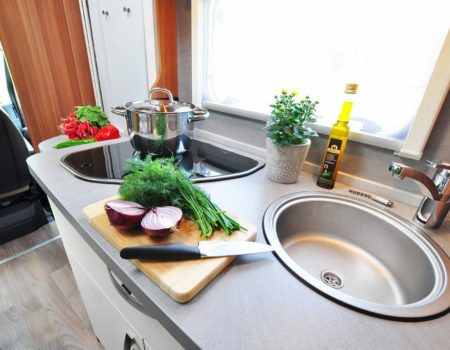 All motorhomes and campervans use gas for cooking and often for heating and refrigeration too. This type of gas is usually stored in small canisters which can be exchanged at supermarkets and garages. The cost is very reasonable (around €1.50 per kilogram of gas) but the canisters are unique to each country (even within the EU!) so you will not be able to exchange a French bottle in Germany for example. The way round this is to carry a European adapter kit (cost approximately €100) which solves the problem in most cases. Expect to use approximately 5 kilograms of gas per week in summer and as much as double that in winter. Depending on the time of year, location and level of facilities offered, campsite charges for motorhomes and campervans in France vary from about €8 per night (for a municipal site with limited facilities) to €70 per night (for a resort-style site with entertainment and lots of leisure facilities). They can be lower or considerably more expensive in other European countries. However, in many countries there are discount and even free camping options and of course, the right to park on public ground (subject to local restrictions) free of charge. It may be that you will only need to use campsites occasionally or when you need to empty/refill water tanks and toilets but even then there are alternatives available. The network of “Aire De Service” in Europe are service stations with water, waste dumping and overnight parking facilities specifically reserved for motorhomes. They are often in town centres and villages and are mainly provided free of charge by the towns to encourage you to visit. At worst they charge just a few Euros so they offer very cost effective overnight halts. France has a particularly good network of free “Aires” for motorhome travelers. New low emissions zones are cropping up all over Europe. They sometimes restrict which roads you can use or require you to display a sticker showing the emissions category of your vehicle. 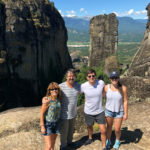 It is easy to overlook them and get a fine so do check the rules in every European country before travelling there to avoid the hefty fines for not complying. Campervan and motorhome drivers are not exempt from fines and with the number of traffic cameras increasing all over Europe, it is as well to be vigilant to avoid a €100 plus fine for a small over-speed, running a red light or careless parking. If you are heading home for some parts of the year or planning multiple trips, don’t forget to budget for safe storage for your motorhome. There are many options in France from campsites to farmer’s barns and prices range from about €350 to €800 (typically payable in advance for one year). We offer vehicle storage too at our secure depot on a flexible basis (for any duration). We charge €1.20 + TVA per day for outdoor storage and €1.50 + TVA per day for indoor storage. Motorhome, Campervan and RV dealership in France > Ownership Advice > What other costs I should budget for when planning my trip?